Leaves opposite, stalk 0.3-0.5 cm long, often hairy, blade 4-8 cm long to about 4 cm wide, egg-shaped, tip long-pointed, base rounded to truncate, hairy below, at least when young, veins pinnate, closely spaced, margin sharply doubly toothed. Flowers white, about 4 cm wide, 4 petals, regular, solitary; blooms May-June. 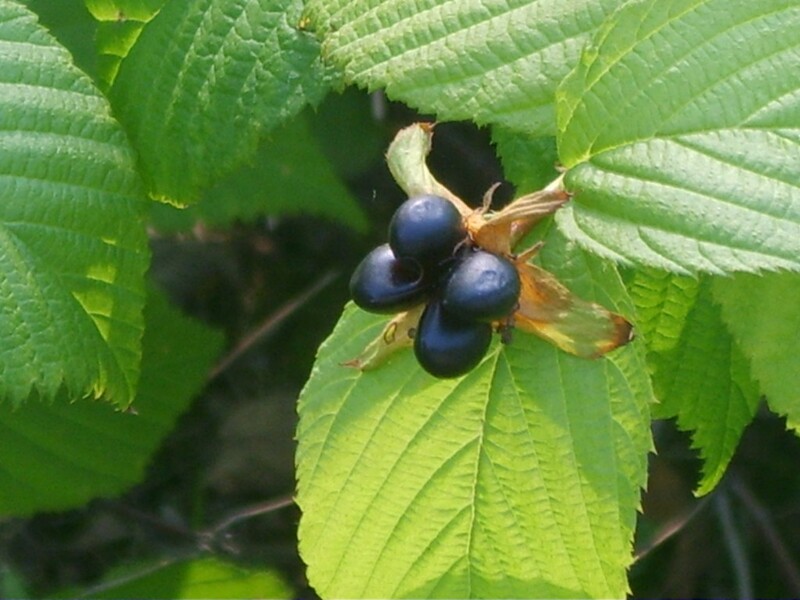 Fruit fleshy, black, about 0.8 cm long, shining, 3-4 per cluster, Oct., persisting through winter, bird dispersed. Origin: Asia (Dirr, 1990; Rehder 1940). Habitat: Escaped from cultivation. Seen along edges. May spread clonally, appears fairly shade tolerant. 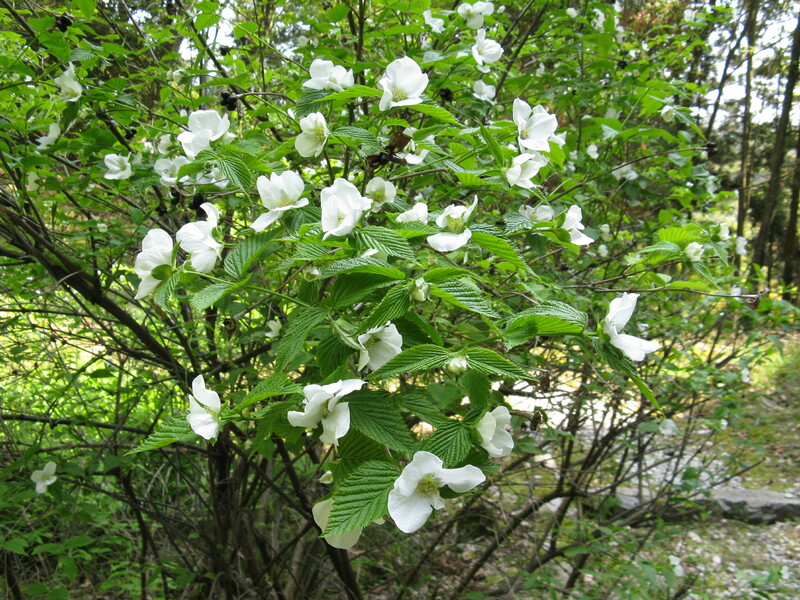 Notes: Listed as invasive in NYS (Invasive plant Atlas 2009).